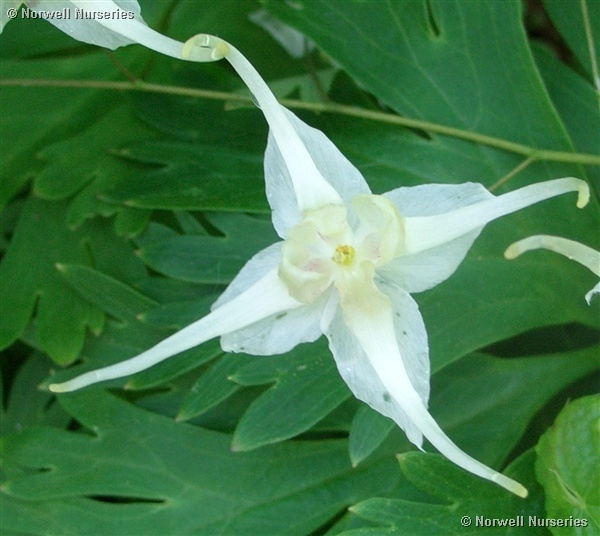 Epimedium latisepalum Described by W. T. Stearn writer of the Epimedium bible as '0ne of the most beautiful species of the genus', with large, well spaced pendulous white flowers up to 1.5" across. The leaves are evergreen and a startling white beneath. Shade, not too dry.